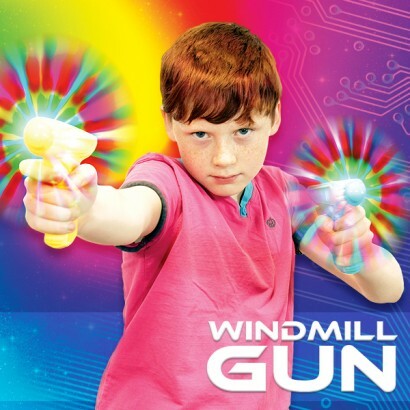 Shoot colourful circles of mesmerising light from the Rainbow Windmill Gun Wholesale. Colourful LED’s create swirling rainbows of light every time you pull the trigger! 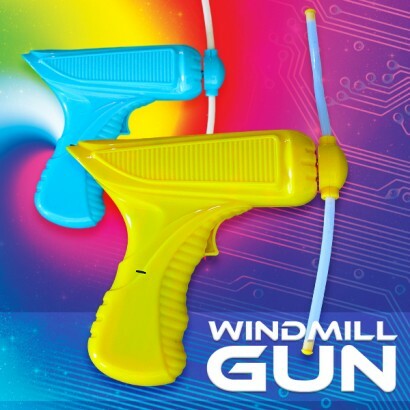 A compact toy gun with windmill arms that are packed with colourful LED’s, pull the trigger of the Rainbow Windmill Gun Wholesale for bright and colourful circles of light. Ideal for kids of all ages, these colourful light guns make fantastic party favours and are great to large events. Batteries are included, so all you need to do is pull the trigger!